Arthritis, or osteoarthritis is a common condition affecting many dogs and cats. It is more common in older dogs of medium to large breeds, but can affect any animal of any size. Arthritis often develops slowly, and can affect one or any joints. 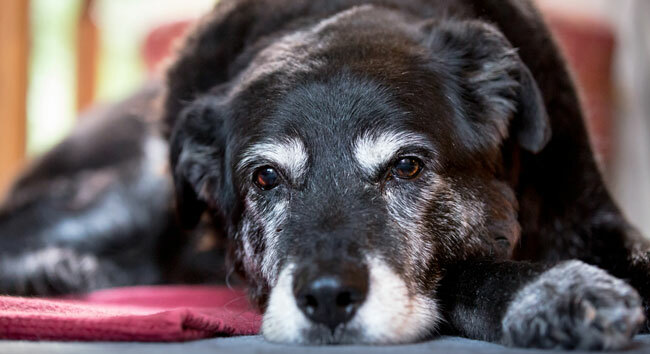 Often in animals it is secondary to conditions like hip and elbow dysplasia or cruciate ligament damage, or can simply be due to wear and tear on the joints due to old age. Weight loss is perhaps the most important and overlooked management tool for dealing with pets with arthritis. Overweight pets place an increased load on the joints and accelerate the degradation of joint cartilage. Moderate exercise and appropriate bedding can also help. NSAIDs form the basis of pain relief for animals suffering from arthritis. Fortunately, there are many different types and formulations available now and it is best to discuss with your vet which one may be best suited to your pets needs and your lifestyle. NSAIDs can be used for life but do have some side effects and need some monitoring. 4cyte is a new generation neutriceutical containing a blend of potent marine concentrates such as green lipped mussel, abalone and marine cartilage and Epitalis - a plant – oil extract containing unique fatty acids. It is very safe and can be taken in conjuction with other medications. These products may help to a degree in some dogs. Glucosamine provides the building blocks for the synthesis of new joint cartilage. Chondroitin also acts as a building block for joint cartilage, but also acts to block destructive enzymes within the joint. These are a series of 4 “anti-arthritis” injections given once weekly. These injections help by having direct anti-inflammatory activity, stimulate the proliferation of cartilage and improve the quality of the joint fluid. These injections are very safe and are best used in the early stages of the disease or in conjunction with NSAID’s. If you are concerned that your pet is suffering from arthritis talk to one of our vets about an appropriate treatment plan. Call 5561 2255 for an appointment.